The Budweiser 360 feature win would see Colton Heath take the win. Evan Margeson jumped out to the early lead and dominated for the first eight laps before Colton Heath used the inside groove to move past him in turn two on lap nine. Evan would maintain his second position and Bud Ashe would take third. Heat winners were Evan Margeson and Robbie Price. Jason Solwold set fast time. Kelsey Carpenter, won his third main in a row and fourth overall, driving the Bill Rude #33, taking the lead from Derek Roberts on lap two in the Cook Road Shell Sportsman Sprint division. 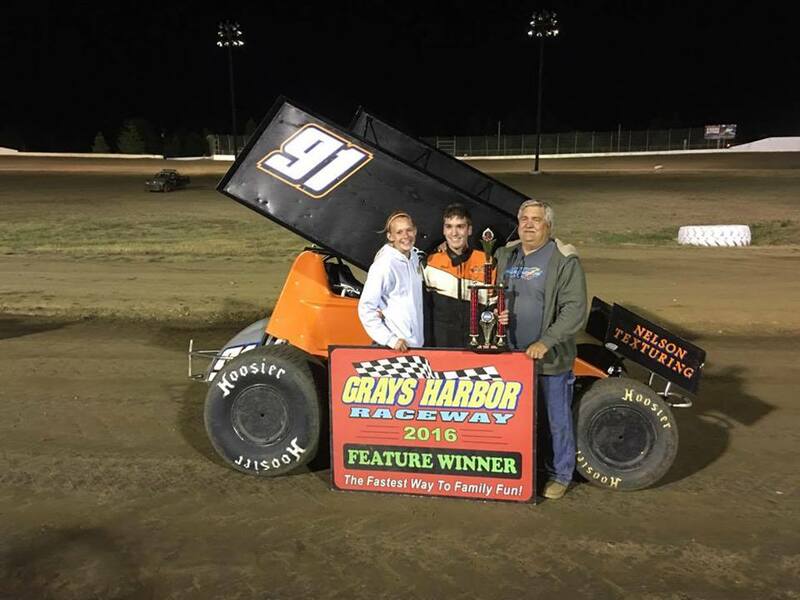 Adam Hinds, Chance Crum and Kelsey Carpenter won heats. Steve Parker set fast time. 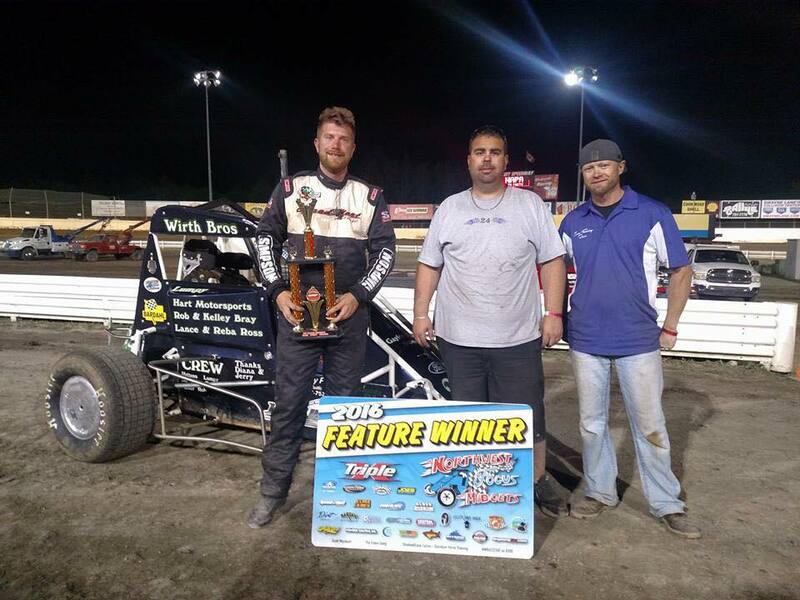 The final night of racing at Skagit Speedway for the Triple X Northwest Focus Midget Series saw Nick Evans win the final main event of the year and secure the season title. Evans ran down race leader Tristin Thomas and drove past him on the inside of turn two to take the lead on lap 21. 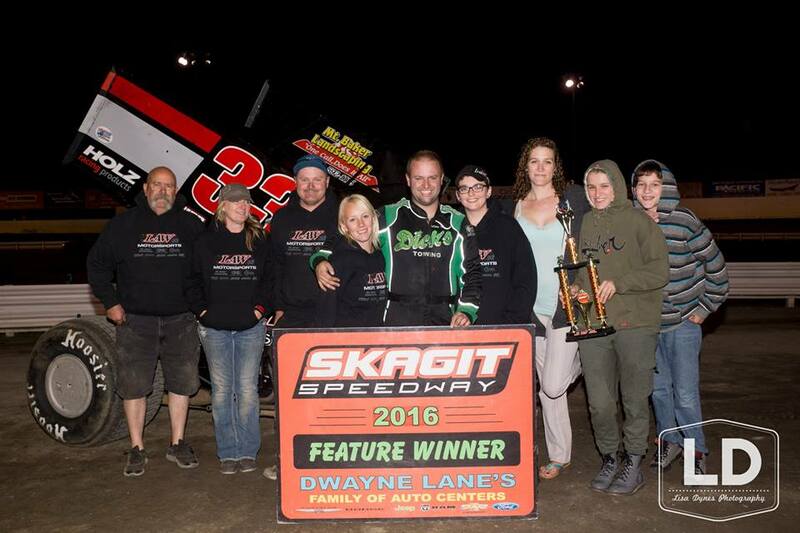 Nick Evans was crowned 2016 Northwest Focus Midget Series Skagit Speedway Champion. 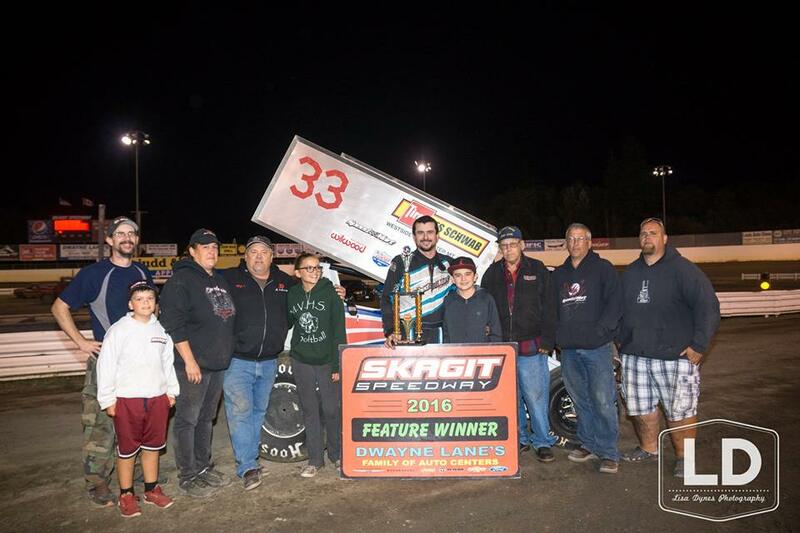 Chase Goetz would pull away from the rest of the field and pick up his first career 360 Sprint Car win at Grays Harbor Raceway. Goetz would pull away from the field in quick fashion, running the low side of the raceway, letting the field behind him battle for positions. Chase would have to deal with a couple of yellows as he would make the best of the restarts to maintain his lead as he would go on to take his first 360 career win. Henry Van Dam would make some challenges on Chase but would have to settle for second and brother Reece would follow in third. 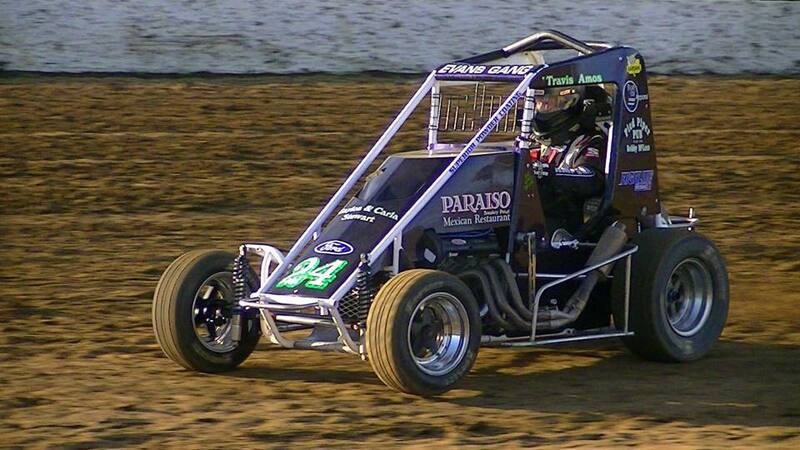 Reece, along with Lance Sargent would take heat wins. Henry would set fast time.